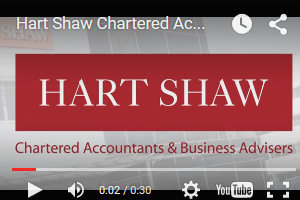 Hart Shaw is an independent, full service firm of Chartered Accountants and Business Advisers operating nationally from its base in Sheffield, South Yorkshire. Our ten-strong ‘Partner-Led’ divisions operate across sectors including engineering and manufacturing, IT, property, retail and publishing - with our 80 strong team specialising in auditing and accounts preparation; personal, corporate and specialist tax; VAT; corporate finance; payroll; and business turnaround. With roots dating back more than 140 years we are committed to finding the best possible outcomes for our clients - delivering consistently above and beyond expectations. The firm remains a founding member of the UK200 Group and has a current membership of over 150 firms; as well as a member of the global association of independent accounts the International Association of Professional Accountants. Understanding the demands of modern business and delivering the highest quality service in a pragmatic and down to earth way. A look at the partners that makes up Hart Shaw. We offer a wide range of career opportunities across a wide range of specialist areas. Email contacts for all our key services. Registration information about the company including registered number and office. Information of the requlatory requirements we abide to. Hart Shaw takes client satisfaction very seriously. Please click on the below links to see what our clients have to say about our services. See here for any vacancies we currently have available.